Before British former Lord Protector Oliver Cromwell suffered the posthumous punishment of being disinterred; hanged, drawn, and quartered at Tibburn; and having his head placed on a spike above Westminster Hall in 1661, he had been buried with dignity. Escutcheons were used and an effigy – complete with an orb, sceptre, and crown – lay in state at Somerset House. 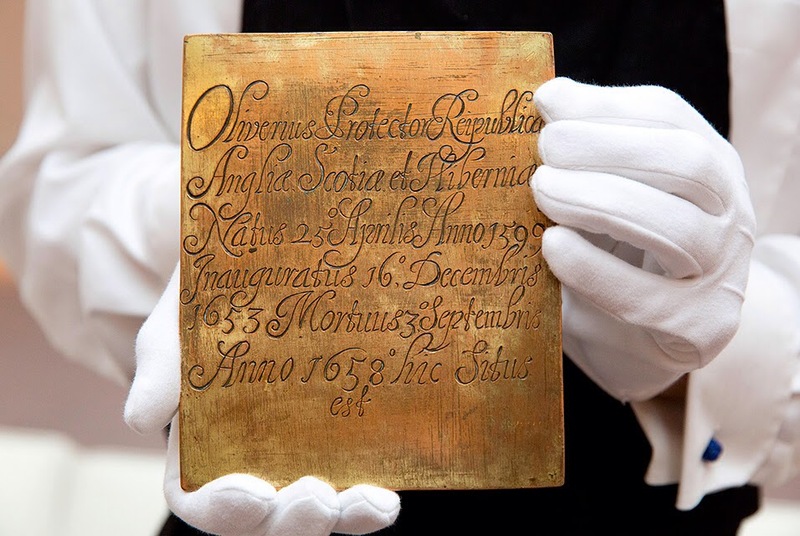 And if you are prepared to bid upwards of $16,000 (£10,000), you can own the engraved black brass plate that was placed on his chest.